I Just wanted to send you over some pictures from our wedding back in September. We are more than happy for you to use them :) We also wanted to say a massive thank you to Terry. He was so calming and assuring on the morning and an absolute pleasure to have with us on the day. Thank you so so much for everything. I just wanted to thank you so much for the excellent service you provided prior to and on our wedding day itself (4th November 2017). Our driver was excellent – punctual, efficient and totally charming so please also pass on our compliments and gratitude to him for being an important part of our special day. Thank you again. Myself and Peter just wanted to drop you a quick email to say Thank you so much for the beautiful car and Terry's hospitality on the day! it was greatly appreciated and Terry easy going personality put us at ease. The car went down a hit with everyone! Thank you so very much for our beautiful wedding car, it was everything we wanted and more. What an incredible experience and your Dad Terry made it even more memorable. Thank you for being so patient and accommodating throughout the process, you have been an absolute joy. Thank you to you and your Dad from the bottom of our hearts. Hi Terry and team. I just want to extend our highest gratitude to you and all at Heffernan Wedding Cars, you were brilliant and it was a pleasure to meet you. The car was beautiful and the service provided was top class. Many thanks to you all again from Rich and Annette. Please can you pass on a massive thank you to Terry from Aly and me. 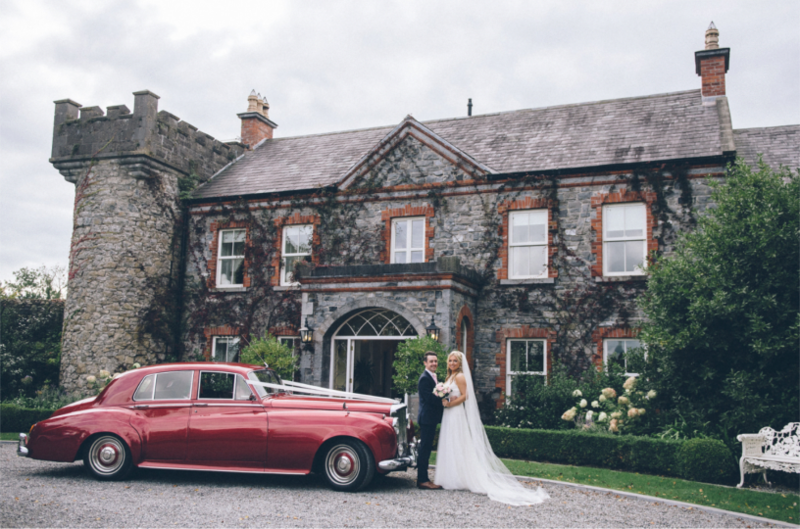 We had an amazing day and the journey from the church to our venue, Rathsallagh, was a lovely time for us. Everything about your service from booking to being driven was superb, and the car itself was stunning. Thanks again to you and all the best. Just passing on our thanks to you guys. Terry was fantastic on the day, keeping us calm and having a laugh. The car was amazing and the photos will be spectacular. Thanks again!! Hi Elaine. Thank you so much to you and Terry for the beautiful car on Friday. We had so many compliments on it and hopefully some future business for you from newly engaged friends :) Terry was a pleasure to drive with and kept me and my dad calm on the way to the church and had good chats with Rob and I afterwards too on the way to the venue. We will recommend to everyone. Keep up the good work! Hi Terry & Elaine, We just wanted to say a big 'Thank You' for everything! We had such a wonderful day & can't believe it's over!! The prosecco went down a treat & Terry was such a pro on the day! Just wanted to say a big thank you for supplying such a beautiful car (and a great driver!) for our wedding day back in July. You gave us a reliable and friendly customer experience and we look forward to recommending you to family and friends. Just wanted to say a big thanks to Terry and all at Heffernan Wedding Cars for the excellent service they provided myself and Christina recently on our wedding day. The car was beautiful and Terry was an excellent driver who was fun to chat to and calm and relaxed during the most time-sensitive part of the day: getting to the church on time!! Thanks again guys, we'd highly recommend you to our family and friends!! Hi, We'd like to thank you for the car and Chauffeur we had for our wedding day on 7th August 2014. Terence was polite, pleasant, and very patient. The car was lovely, and a real talking point with our guests. We really enjoyed our trips. Warm regards, Sandra and Ross. Hi Elaine, I hope you are keeping well. I have been meaning to send you an email since the wedding - things have been hectic but our feet are finally back on the ground after all the celebrating! 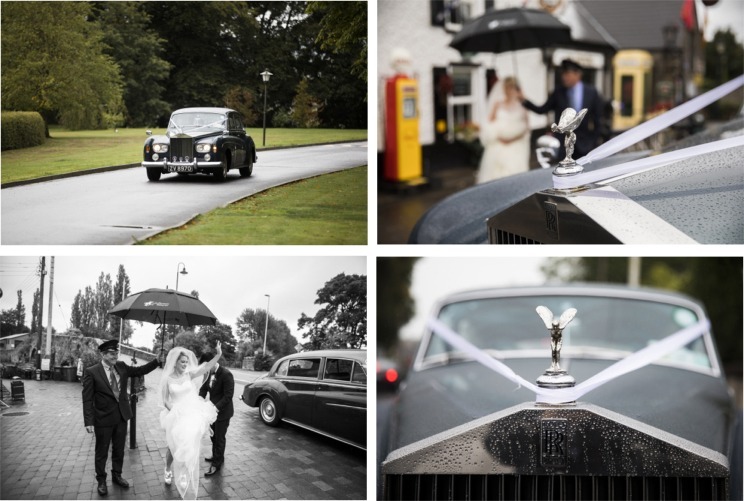 Dan and I wanted to say thank you so much for our beautiful wedding car - the Rolls Royce Silver Cloud (7th June). It looked absolutely fantastic! Our driver was such a gentleman. He left us alone in the car in the church grounds to enjoy a glass of champagne before heading off to the hotel and we both remember this part of the day, along with the drive through the city, as a very special time, as it was really the only time we had alone together on the day. I would be very grateful if you could please pass on our appreciation to the driver. Dear Terry/Tom, Thank you so very much for the wonderful service you provided on Wednesday last from Templeogue to Beaufield Mews. From the moment my parents saw the beautiful 1964 Rolls Royce outside their house, they knew they were in for the treat of all treats. It also gave them a pretty good idea that something else was going to take place that day. As we were all waiting for them in Beaufield Mews for their 'surprise 50th Wedding Anniversary Celebration' it was such a magnificent way to prepare them that something special was afoot. Tom - you are an absolute gentleman and both Kathleen and Cyril (along with my brother Conor) enjoyed their journey with you. It was a wonderful start to a very momentous occasion. 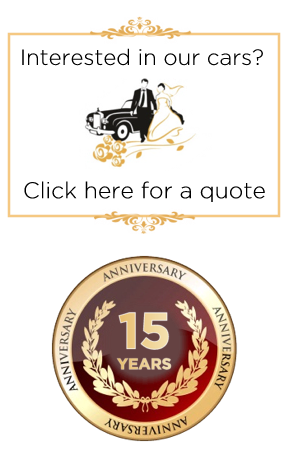 We will definitely find another celebration to use your services again and will certainly be recommending you to family and friends. Thanks guys, It's a stunning car and the driver was so helpful and patient. with Wedding Post Box Ireland. Hi Terry Just a quick note to say thanks very much for driving us to the church and then the hotel. You made the journey very relaxing and thanks for looking after the convoy behind you. Your car is stunning and extremely comfortable. The champagne from the church and the keyring was a nice touch. And thanks for waiting while we used your umbrellas to get photos taken in the rain. Hi Elaine, I just wanted to email you to say how happy we were with Terry and the car on our day December 29th. Terry was an absolute joy and a great chauffeur, please pass on our best wishes and tell him to wear his wedding ring ;) Will recommend your company to friends! Just a quick note to thank you for playing a huge part in the best day of our lives. will be and have recommended you to lots of people. To Elaine and all the staff A very belated note to thank you again for your services on our wedding day in June. We were delighted with the car and will definately be recommending you to friends. A particular thank you for finding and returning my passport, which was left in the car that day. It could have been a disaster, but thanks to yourselves we were able to head off on our honeymoon as planned! Dear Elaine and Terry We wanted to write you a note thanking you for providing the elegent navy Rolls Royce Silver Cloud III as our bridal car on 02 June 2012. It is a fabulous car and really looks the part in our wedding photos. A big thank you to our lovely driver, he was a gentleman and very helpful and polite. Thanks a million for Saturday, we had a great day and the car looked fantastic. Hi Elaine, I just wanted to thank you for the Service provided. We were very happy with the car and to see that the request to have Coors light was taken in consideration. Can I just take this opportunity to say how much we enjoyed the car on the day, it was much admired and Henry was great too. We were really pleased with your service. Terry, thank you so much for making the huge effort to get you and your beautiful Bentley to Rathsallagh on Wednesday. A got such a wonderful surprise and the photos of the car against the snow will be fabulous. Hi Elaine, Just wanted to pass on our thanks to the driver who looked after our wedding on 23rd May - he did a great job and the car looked fantastic. Hi Elaine, Just wanted to email to say thanks for providing the car on our wedding day.We absolutely loved it and got loads of compliments on how great it looked. The driver was a star (sorry can't remember his name). And the whole service was perfect. I will definitely be recommending you. Hi Elaine, Just to let you know we had a great day. The car was beautiful and Henry was really nice and patient with us! We have written a review on weddingsonline; we hope that they post it. Hi Elaine, I would just like to thank you for everything that you and Heffernan cars did for myself and A on our wedding day. The car was fantastic, Henry was a gentleman and the bubbly definitely hit the spot. Thanks again for everything and we will be recommending you to our friends. Hi Elaine. Just a quick note to say thanks for all your help and that everything worked out great on the day. Henry was really lovely and the car was perfect. Hi Elaine, Just wanted to get back to you to say that everything was perfect with the car on our wedding day, all went really well and thanks for your professional service. Dear Elaine, Many thanks for all your assistance. The S2 Bentley was fabulous all shiny and beautifully polished, everything was just super.